Prized for centuries in tropical cooking, science is only now beginning to discover the powerful health benefits of turmeric. Turmeric is a spice that comes from the rhizomes of Curcuma longa, a tropical plant that is native to India. It can be eaten fresh or more often dried and ground to produce turmeric powder common in cooking. Turmeric is dark-orange or yellow color, similar in appearance to ginger root. The active ingredient is curcumin; it has an earthy and slightly bitter flavor with a mustard smell. It is actually surprisingly easy to cultivate your own turmeric at home. “Turmeric” and “curcumin” are often used interchangeably, making it hard to understand the difference. Turmeric is the spice derived from the rhizomes of the Curcuma longa plant. Like all plants, turmeric contains many phytonutrients: one of its most beneficial of which being curcumin. Curcumin is responsible for many of the health benefits granted by turmeric, including its ability to reduce inflammation, relieve symptoms of arthritis and protect against skin diseases. So curcumin is just one of the many phytonutrients found in turmeric. Turmeric contains lots of essential minerals, including: calcium, copper, fiber, iron, magnesium, manganese, phosphorus, potassium, selenium, sodium and zinc. It is also rich in vitamin C, D, K, and several B-vitamins. Turmeric has small amounts of omega-3 and omega-6 fatty acids and polyunsaturated fatty acids. Anti-cancer: The high antioxidant content in turmeric helps protect colon cells from free radical damage. This is a major benefit in the colon where cells turnover occur about every three days. Curcumin can assist the body with destroying mutated cancer cells, preventing spread and further damage. It also helps to slow down tumor formation and prevents blood supply to cancer cells, stunting their growth. Anti-inflammatory: The volatile oil part of turmeric has major anti-inflammatory properties. The more potent property of turmeric is curcumin, which is also responsible for the intense yellow-orange color. Unlike drugs and medications, curcumin has no toxic side effects such as ulcers, decreased white blood cell count or intestinal bleeding. Here are 5 turmeric drinks to reduce inflammation. Cardiovascular health: The curcumin in turmeric prevents the oxidation of cholesterol. Oxidized cholesterol damages the blood vessels and builds up plaque that can cause heart attack or stroke. Preventing oxidation of cholesterol helps reduce the development of atherosclerosis and diabetic heart disease. Turmeric is an excellent source of vitamin B6, which can keep homocysteine levels from increasing and directly damaging the blood vessel walls. High intake of vitamin B6 can reduce the risk of heart disease. Immune system: Turmeric has antibacterial, antiviral and antifungal properties, useful for strengthening the immune system. The first line of defense in the digestive system, is the prevention of bacterial or viral infections. 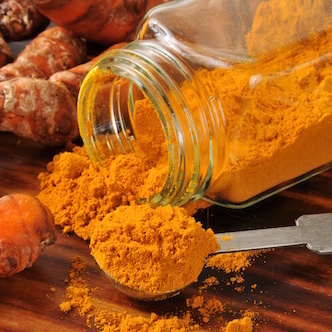 Inflammatory Bowel Disease (IBD): Curcumin can be an inexpensive and effective treatment for inflammatory bowel diseases such as Crohn’s or ulcerative colitis. Researchers believe that curcumin helps these diseases with the antioxidant activities it provides as well as the reservation of a major cellular inflammatory agent that reduces inflammation. Liver function: Turmeric has the ability to improve the body’s detoxification system by inducing the development of a primary liver detoxification enzyme, glutathione S-transferase (GST). Rheumatoid arthritis: Curcumin has powerful antioxidant effects, neutralizing harmful free radicals, which otherwise damage healthy cells. Free radicals are responsible for causing painful joint damage and inflammation. Curcumin has been shown to reduce morning stiffness, improve walking endurance, and reduced joint swelling. 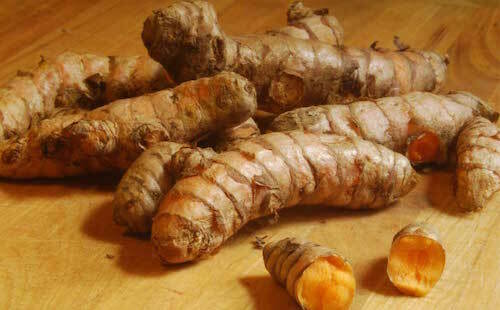 Turmeric is usually used in its dried, powdered form but it can also be used fresh, like ginger. For therapeutic use, choose organic turmeric for its purity and increased efficacy. When handling turmeric, beware that it can deeply stain your cutting board or anything that it comes in contact with, including your juicer. Turmeric has powerful healing properties. Do not consume turmeric, if you are on a blood thinning medication. Learn how to make ginger and turmeric tea.